Hey y’all! I’m Darolyn and I am currently living in Houston but was born and raised in Maine. We took Walt Disney World vacations yearly while I was growing up and since 2010 we have been annual passholders. 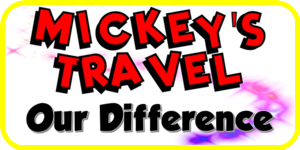 We’ve also traveled to Disneyland and taken several Disney cruises. I have participated in several of the RunDisney weekends at both Walt Disney World and Disneyland, most recently completing the Dopey Challenge in 2018. I love Disney parks because when I’m there, it feels like I’m a kid again and all the outside world fades away. Disney really does a fantastic job of transporting you to the different lands in the parks! On Disney Cruise Line I have visited Cozumel, Mexico, Grand Cayman Island, Jamaica, Nassau, Bahamas and Castaway Cay. I’ve traveled to Switzerland and Germany and I would love to revisit Europe on one of the Adventures by Disney! My Disney bucket list is to stay at every single Disney resort and visit every single Disney park around the world and cruising on every single Disney ship! 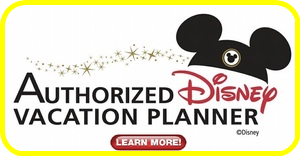 Disney has always been a passion of mine and I would love to help you plan your dream vacation!